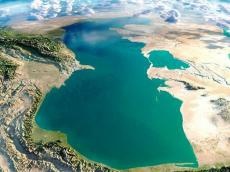 Kazakhstan and Russia have reached an agreement on the development of ferry service between the countries' ports on the Caspian Sea and along the Irtysh River, the Ministry for Investments and Development of Kazakhstan said in a message. This issue will be worked out by the end of the 1st half of 2019. This agreement was reached at the 13th meeting of the Subcommittee on Transport of the Intergovernmental Commission on Cooperation between Russia and Kazakhstan, chaired by the First Vice-Minister of Investment and Development of Kazakhstan Roman Sklyar and Russia’s Deputy Minister of Transport Sergey Aristov. During the meeting, a wide range of issues of bilateral cooperation in the field of rail, road, water and air transport were discussed. Another agreement was reached in the sphere of railway transport – on the continuation of joint work aimed at creating the "Eurasia" high-speed freight and passenger rail corridor. In motor transport, the parties agreed to prepare for signing a new agreement between Russia and Kazakhstan on international road transport by the end of 2018. The parties also reached an agreement in the field of civil aviation – on simplified rules of entry, stay and departure for the crew members of Kazakh and Russian airlines who are foreign nationals of third countries.